Your enemies are many. After overcoming dangers, making enemies, and killing your fair share of opponents, you stand ready to fight some more. Your sword arm is strong from the battles endured. Your nimbleness and brazenness have earned you the reputation as a master thief. The magics you work, and the lore you mastered, have given you an understanding of magic’s depth. You are a hero, an outlaw, even a thorn in the side of the powers that be. Your trials prepared you, and now, you are ready to inscribe your name upon the rolls of history. The world will feel your justice. Your enemies cower from your vengeance. Those in power have no choice but to cower from you. You will be king, and the dynasty you begin will endure for centuries. Are you up to the challenge? Inspired by the writings of Robert E. Howard, Clark Ashton Smith, and H.P. Lovecraft, Shadow, Sword & Spell is the fantasy of a different sort: pulp fantasy. This is the fantasy where heroes seek to carve their own glory, and the threats faced are outside the scope of humankind. Pick up your Sword. Grab your staff. Sharpen your knives. It is time to adventure! Revised, rewritten and redesigned Shadow, Sword & Spell 2nd Edition provides everything you need to run pulp fantasy adventures: rules covering the use of magic and alchemy; quick and easy mass combat; what to do when you start a criminal enterprise; the possibilities are endless. Using a fast and simple mechanic, setting up and running a game of Shadow, Sword & Spell has never been easier. 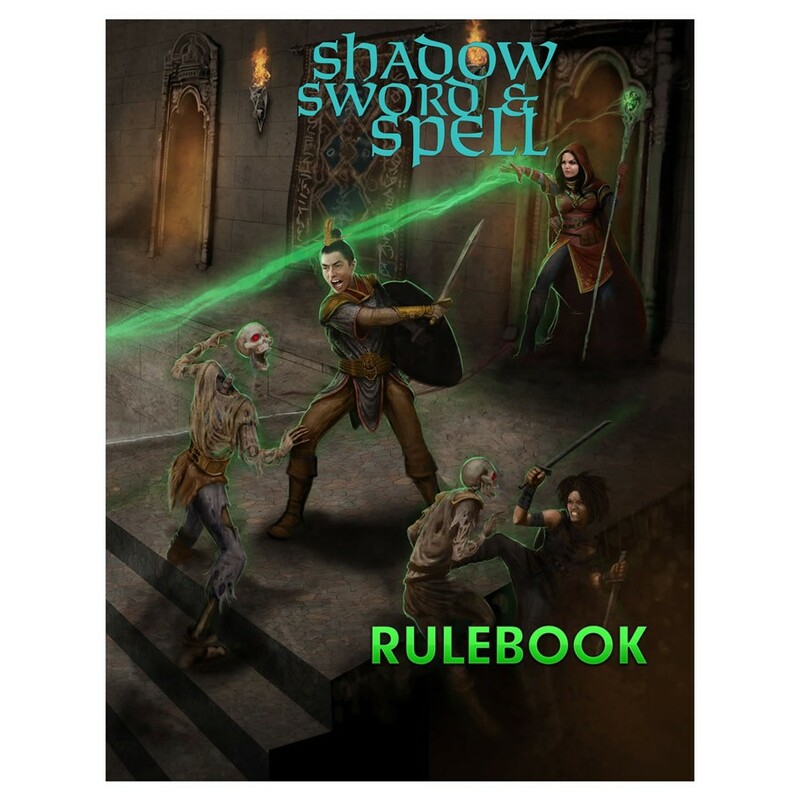 Plus, this Second Edition Rulebook is fully compatible with all previous Shadow, Sword & Spell adventures and sourcebooks.